The Ancient Japanese “Taiko” Drum Shakes the Modern World! Let us be honest, when the word “ancient” arises, we often picture that which is dull and monotonous. But the centuries-old Japanese taiko drum, is nothing close to “humdrum”. 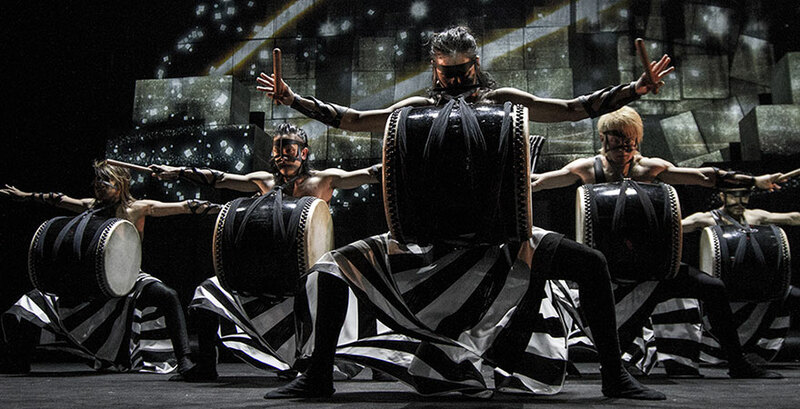 Japan’s world-renowned drum art company TAO, has proven the ancient drum’s power to evoke raw, heart-pounding excitement that shakes up the modern world! TAO has showcased their rumbling taiko drum ensemble in at least 24 countries world-wide. Over 7 million spectators have experienced TAO’s taiko drum performances, in all their glory and fury, and now you'll have the chance at State Theatre New Jersey on February 16 with TAO: Drum Heart! Originally, the taiko drum was used in Japanese wars of the 1500’s. It is characterized by its enormous size and round wooden body. Its acoustics produce extraordinarily deep beats and thundering echos. The Morse-code of ancient Japanese armies, the beat of the taiko was actually used to coordinate movements and issue commands in battle. The taiko was the only instrument loud enough to be heard across the battlefield. The taiko’s distinct bong was also used in poignant rhythms, to intimidate or scare enemy soldiers before battle. Envision several of these very same drums rumbling and resounding right before your eyes. Today, TAO brings the potent sound of taiko to the world in a powerful musical performance. In award-wining choreography, TAO incorporates pounding percussion, artistic stories, intricate geisha costumes, and martial art movement to both awe-strike and inspire. Don't miss your opportunity to experience the astounding sound of the taiko in TAO: Drum Heart at State Theater of New Jersey on Friday, February 16 at 8pm.